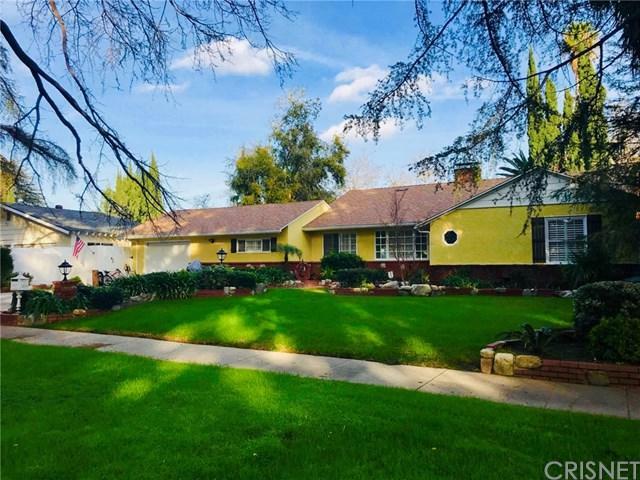 Located on a historic street in Granada Hills due to the giant Deodar Cedar trees, this beautiful custom ranch style home is on a double lot in a highly desirable & sought after neighborhood. A few of the many wonderful features of this renovated home are the 2160 sqft laided out in a wonderfully designed floor plan, that includes hardwood floors, granite countertops & stainless steal appliances in the kitchen. The home has 4 bedroom's, the fourth room can be a office/den/or bedroom, 2 bathroom's, a long oversized pass through, one car garage, 2 fireplaces, built in gated black bottom pool & built in jacuzzi, & built in bbq, & so many more lovely custom touches, all on a nice large sized 11,899 sqft/ 0.27 acres lot. Sold by Cynthia Salcido of Compass.